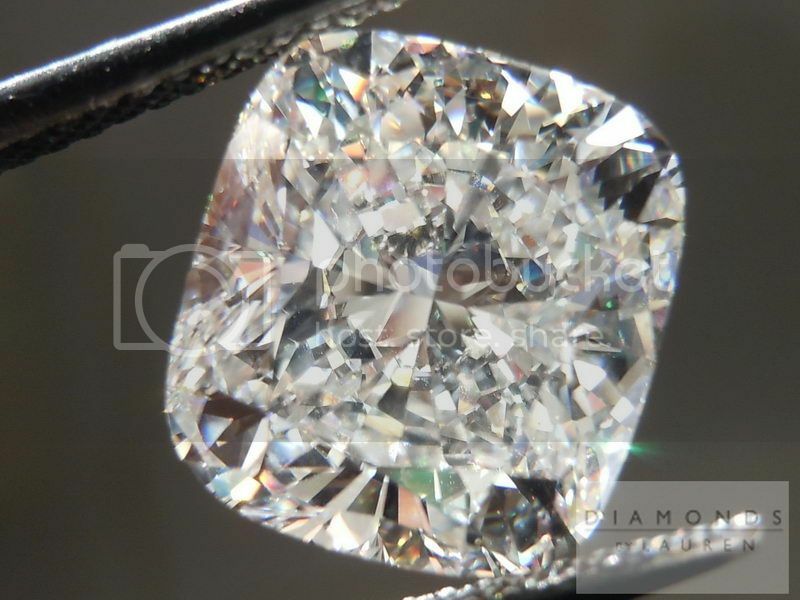 To understand the diamond business today, you'll need to understand the internet. I suppose this is true for just about any business, but it's particularly true in the diamond business- and relevant to diamond shoppers. 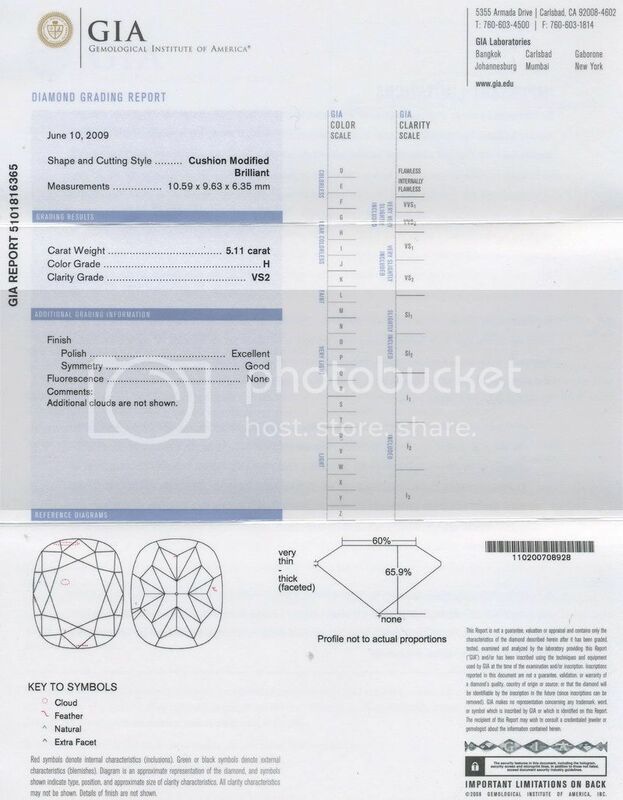 Basically, it's become incredibly efficient for diamond cutters to pass along their inventory list - in the form of an excel spreadsheet- which may then be fed to the myriad of diamond selling websites that subscribe to this feed. That's why you'll find so many sites selling the very same diamond. You can't tell by looking at photos- there are none- but you can tell by comparing the GIA numbers and measurements. At that point it's a race to see who can sell it cheapest. I totally get the motivation behind this- but I'm also very familiar with what those lists represent in real life- the diamonds themselves. If we're looking at the way a diamond is cut, we can find that there are cutters that place a priority on profit over beauty. 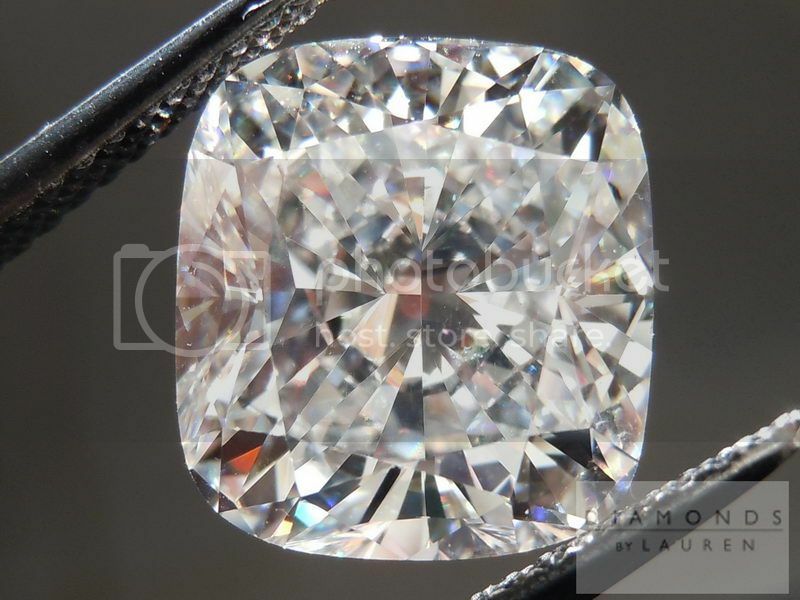 Since most of the sites selling off these lists don't have photos, they favor stones that might not necessarily be chosen by the buyers of they were comparing many stones in person After all they may just go for a stone many others would reject. The point is the lists contain stones that may have been relegated there by virtue of the fact they don't look al that great. 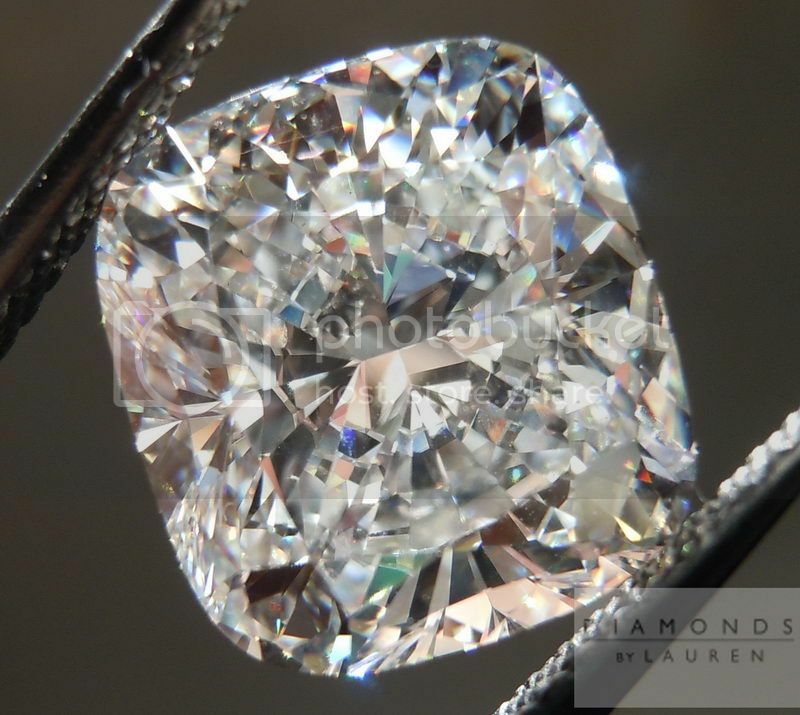 ALL the diamonds we offer are well documented with photos - and many have videos. NONE of the diamonds on our site can be found on other websites. 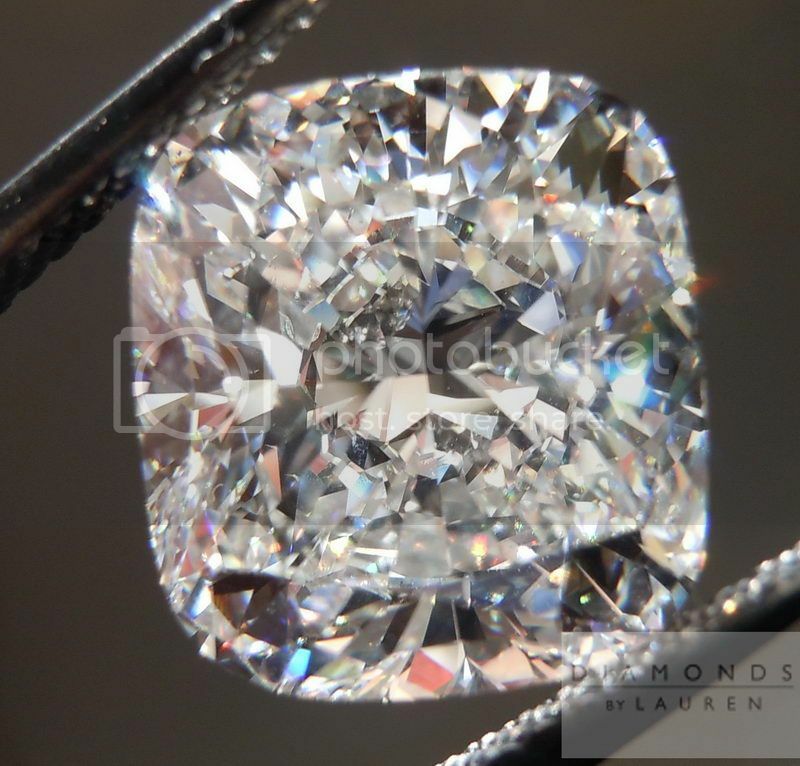 There is a large subjective element when it comes to judging a diamond's cut - especially with Fancy Shapes- like this Cushion Diamond. Personally, I love this one. The way the diamond uses the light involves a thousand tiny panels blinking white, black, and gray - or prism. This occurs in such close proximity, the eye can-not make out individual sparkles - as soon as you focus there, the facet is doing something new. Lot's of sparkle- with generous size for its weight. The stone is so large - and so dazzling in the way it handles the light - people will gasp when they see it. 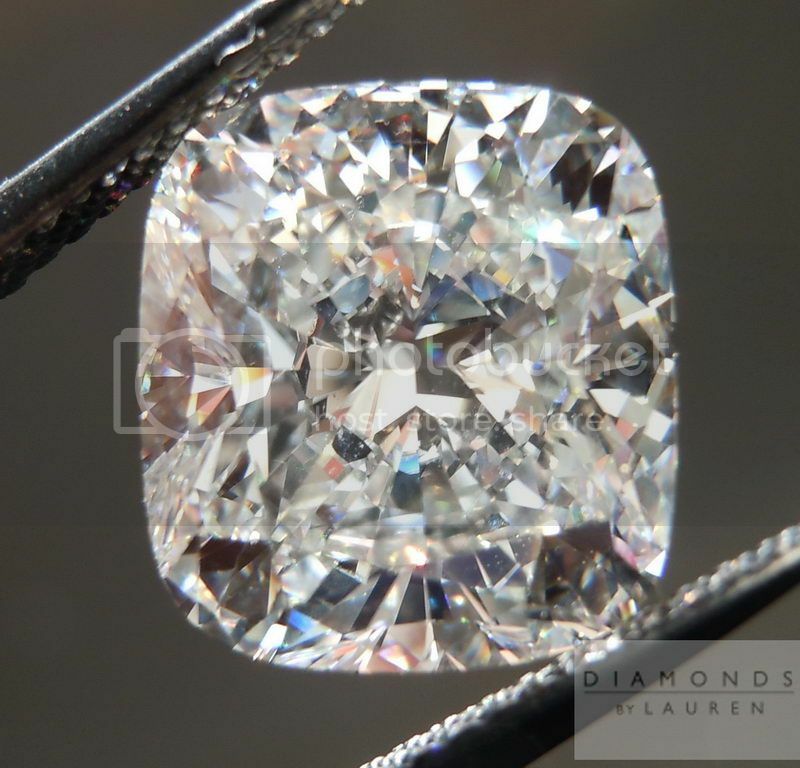 This is a competitively priced diamond- but it's by no means the cheapest - that's not what we look for - we look for the best.